This pretty much confirms Henry is not attending Sunday's BAFTA awards. He's apparently headed to Toronto for the NBA All-Star Weekend. 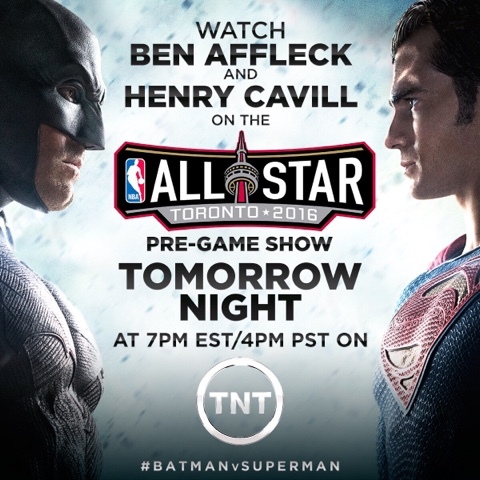 Batman v Superman today broke the news on tumblr, that both him and Ben will be appearing during the All-Star pre-game show. Word of Henry's trip goes along with GMA's big surprise on Tuesday. Stars from all over the world are in Toronto this weekend, and there are plenty of VIP events Henry could attend. The NBA All-Star Game is set for Sunday at the Air Canada Centre, and it's the first time its being held outside of the U.S.
of course you are in Toronto! when I can't be there!!!!! have fun stay warm and enjoy the all star game! it's freezing up here! -27 and counting!hope you packed that tuque and lots of sweaters!